Thank you for your interest in helping us! 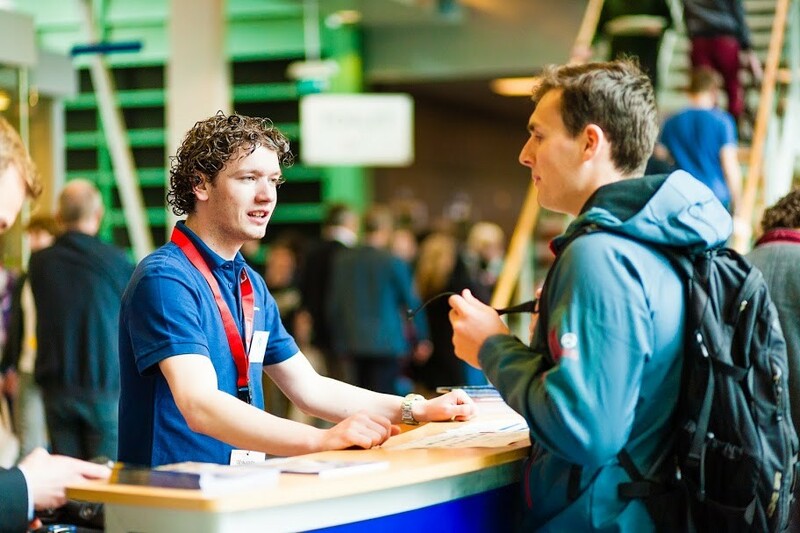 Volunteers are a group of enthusiastic students of the Radboud University that are an indispensable support to us, the board of the BBB Career Event Foundation, during preparations and during the event. As a volunteer you will help preparing the BBB Career Event (i.e. creating the set-up for the company stands, spreading promotional material, etc.) and, of course, you will be of assistance during the event itself. By helping as a volunteer, you will be able to get to know the BBB Career Event from a whole different perspective. On one hand, it is a very interesting way to get to see what goes on behind the screens during the organisation of a large scale event like the BBB Career Event. On the other hand, it is also a very nice opportunity to check out how things work if you are interested in organizing the BBB Career Event yourself. It is also a great moment to get to know new people and have a lot of fun. We will give you a nice polo shirt and afterwards, there will be a nice barbecue in order to thank all volunteers for their amazing support! So, are you interested in helping us as a volunteer? Please contact us by e-mail or phone (bbb@science.ru.nl or 024-3652391). Are you in the area? Feel free to visit us at our room (HG00.154a) in the Huygens building on the campus! See you at the BBB Career Event!